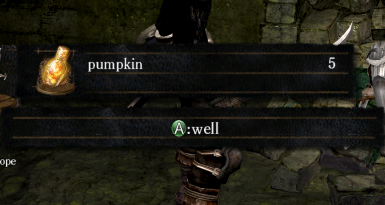 Can't understand all of the hidden lore in the item descriptions of Dark Souls? This mod will destroy any hint of lore in the text, so you don't have to feel bad. I ran all of the text in the game through various languages in Google Translate 15 times to make everything as incomprehensible as possible. Also includes a Text To Speech voice pack from the dialogue subtitles, with different voices for each character! Only supports PTDE because the Remaster changed the msg files a bunch, plus I don't own it. Blame QLOC. I included a backup of the vanilla text files in the download, but feel free to make a back up of your own. Extract the zip folder somewhere, then place the extracted msg folder in your DATA directory (ex: C:\Program Files (x86)\Steam\steamapps\common\Dark Souls Prepare to Die Edition). Overwrite when prompted. For the voice pack, do the same thing but place the extracted sound folder in your DATA directory. Huge thank you to AinTunez for generating all of the audio files! Also thanks to Meowmaritus for making MeowDSIO and TextVessel.